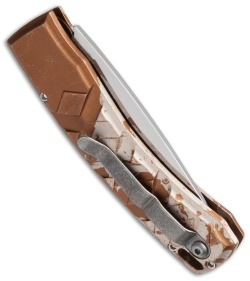 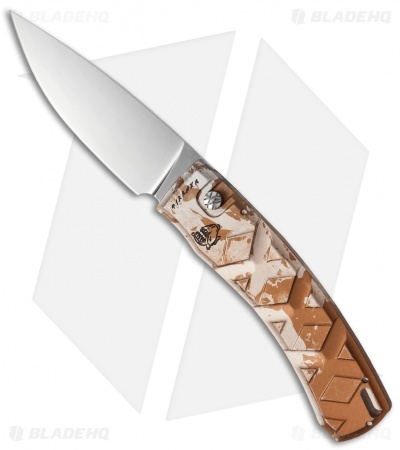 This model of the Piranha X has a mirror finished blade and desert camo anodized handle. 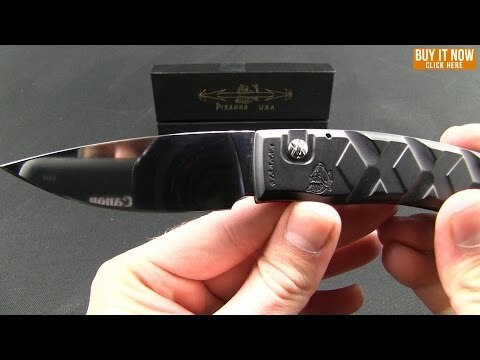 Really fun knife to have. Locks open every time and carries well.